That happens sometimes. When it does, I always go easy on myself. Just like a chicken or a lobster in molt, any modern person needs to go through yet-another ugly duckling phase while they re-organize hardware and software for themselves. (Much as I would like to call it metamorphosis, it’s molting.) I recently read an interview with Kevin Kelly, founder of Wired Magazine; he was talking about his new book "What Technology Wants." I like him; I always enjoy hearing what he has to say. The one new thought that stayed with me from the interview was (and I’m paraphrasing here, because Kelly talks English, the article was Spanish, and this is back to English) he said there’s a general expectation that technology will get easier to use over time, but in reality, that’s just not going to happen. The screen you’re looking at might be uncluttered; the gadget you’re holding might look pleasingly simple. But learning to use the thing will take more and more practice, and more sophistication, as technology continually adds capability. It’s never going to get easier. 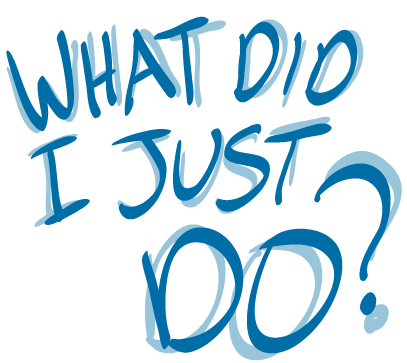 During my own non-ending learning curve, I frequently shake my head, over and over asking, "What just happened? What did I just do?" Like right now; perfect example. I’m writing this out in the sagebrush, hiking around. Writing while hiking is something that I (oddly) enjoy. It seems (odder yet) to work pretty good. I actually think I write better during a walk. This just happens to me, beyond my control, from time to time – I write while tromping. Today, it started in my office. I was looking over the records of what I did in November and December, on the spreadsheet that holds my timecards (In Great Harvest, I had a timecard to keep me from working too much; now the same timecard keeps me from working too little). I studied the old timecards, quickly dictating anything that might be worth including in a blog post. Then I plugged the voice recorder into Joe (my heavy computer) and a rough little outline flowed out. It was a nice little outline too, just loose thoughts. Lacing on my boots to go outside, I felt this twinge like I might want to write something out there, so I beamed the little outline onto my Kindle, and stuck it in my pack with the voice recorder. 2 gadgets = weight 8 oz, means I have an outline of preliminary thoughts to look at, and something I can write with – a complete outfit. I never planned to do this article quite this way, but it thoroughly worked in every way. It’s right at that point that I always go “Hey, that totally worked” and then "What just happened? What did I just do?" And that’s the exact moment, I’ve found, when it pays to pause for a second, take three breaths, go back over the steps in your mind, and let it all sink in. Because that’s when learning is happening. Something worked. What did I just do? Oh. And the pieces click together in a new way. But back to the story. All through November and December too many pieces fell together in too many ways, and I got swamped by my own gadgets. Flaco, my precious tablet, totally busted when I stupidly stretched the charger cord straight across a dark motel room, and Laura naturally tripped on it. The USB socket torqued in just the perfect way so that (long story short) Flaco’s sensitive little memory got obliterated. In the rebuilding, we both decided to get new phones, and I got a little Android one – looks like a tiny little baby Flaco – which I promptly named Pico. So while I rebuilt Flaco, I built Pico alongside, and now they are twinsies. All of this sucked; everybody knows what I’m talking about. But, like the molting lobster, in retrospect it had to be, or life couldn’t go on. True beauty and room to grow, now. In a lobstery sort of way. In particular (and this was the bulk of the pain) everything syncing nicely now across Joe, Flaco, Pico – almost everything, anyway. My life mostly-synchronized across three computers. It recently occurred to me that my computers aren’t just Joe, Flaco and Pico. There’s a fuzzy-looking device #4 to think about, like a ghost device floating above. The Trinity and a Ghost. Device 4 is much too ephemeral to get a name; it’s called, simply, Sync. But it certainly has its own needs and specific apps and bugaboos, and stuff to continually learn about. So that’s progress, or the lack thereof, for November + December.